"Charleston Lighthouses" by Kevin Curran, Fine Art Print, Single White Mat 11" x 14", Image size 8" x 10" or the Larger Single White Mat 16" x 20", Image size 11" x 14" This is a Limited Edition, Signed, and Numbered print. 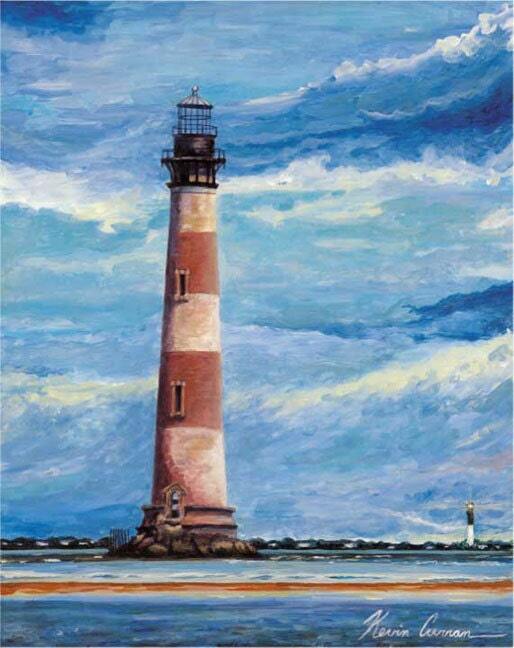 This piece features Charleston's Morris Island Lighthouse, and in the distance, Sullivan's island Lighthouse. The original was done in oil.